Michael Wilmington provides a fresh look at essential Christmas Eve viewing: “It’s a Wonderful Life.” If you’ve dismissed this film as sappy, watch the last act one more time and you’ll likely appreciate anew its noir mood and atmosphere. Scenario for Christmas: A whimsical guardian angel shows a good-hearted small-town guy, on the brink of suicide, what would have happened if he’d never lived and what a difference his life really made to everyone around him. You’ve seen it before, but it always works. And it always will. Frank Capra‘s holiday masterpiece “It’s a Wonderful Life” is an exhilarating mix of angelic fantasy and small-town comedy, of political fable and poetic license, of Norman Rockwell and film noir. 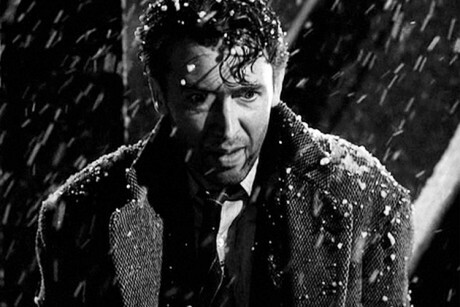 The last act of this beloved Christmas classic — where George Bailey (James Stewart, in his favorite role) sees his beloved hometown of Bedford Falls turned into a dark semi-urban nightmare, as it would have been if it were run by George’s rich, greedy nemesis, Old Man Potter (Lionel Barrymore) — is a pure film-noir nightmare, with a tormented protagonist, a world bent into bad-dreams-come-true and a fate that (temporarily) can’t be escaped. There are lots of real film-noir mainstays in the cast, people who fit easily into the noir universe — notably Gloria Grahame (“In a Lonely Place,” “Human Desire,” “The Big Heat”) as the town’s blonde bombshell Violet; Thomas Mitchell (“Dark Waters,” “The Dark Mirror,” “While the City Sleeps”) as George’s absent-minded Uncle Billy; Barrymore (“Key Largo”) as the evil banker Potter; and Sheldon Leonard (“Decoy”) as tough Nick the bartender. The script, by turns witty and sentimental, was adapted from a Christmas fable by poet Philip Van Doren Stern. “Life” had a raft of A-list writers, namely Frances Goodrich and Albert Hackett, the husband-wife team who adapted Dashiell Hammett‘s “Thin Man” for the movies. On “Life,” they received uncredited assistance from such stalwart noir writers as Jo Swerling (“Leave Her to Heaven”), Dalton Trumbo (“Gun Crazy”), Clifford Odets (“Sweet Smell of Success”) and the famously acerbic Dorothy Parker (you heard me right). 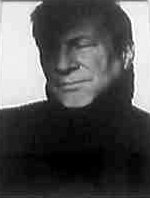 Lead cinematographer Joe Biroc (“Cry Danger,” “The Killer That Stalked New York”) gives the movie a distinctly nightmarish look. The point of cataloging “Life’s” noir vets is that most of the talent in the movie were known more for film noir than the simplistic goody-two-shoes stuff people mistakenly feel is the essence of both “It’s a Wonderful Life” and Capra-corn. Capra wanted smart, sophisticated collaborators who knew what happened when the lights went off. Noir people. Anyway, it all jelled into a movie and an experience, both spinetingling and heartwarming, that nobody ever forgets: On a magical Christmas Eve, a good man understands the meaning of his life and the effects of selflessness, just as Dickens’ Scrooge sees the consequences of his own selfishness. 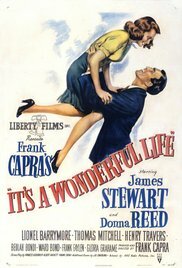 Most importantly, “Life” had Frank Capra, a directorial magician who could mix comedy and drama, move audiences deeply and also make them laugh, like almost no one else in Hollywood history. Capra always thought this was his best movie, even though it was a horrible disappointment to him financially and professionally. 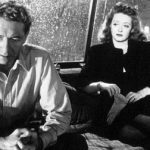 The original 1946 audiences and critics were mixed, and the film’s receipts failed to support the new company, Liberty Films, that Capra was trying to set up with his friends George Stevens, William Wyler and John Huston. Largely because of “Life,” they lost their Liberty. “It’s a Wonderful Life” takes you right over the edge. Almost. It’s a wonderful picture: a very funny, often charming, but also terrifying movie about life’s most horrible disappointments, about all your nightmares coming true and all your dreams being torn apart. And that was echoed in real life. George Bailey failed (for a while), and Frank Capra failed (for a while) too. But Capra was right. This is his best movie. I can’t keep a dry eye when George’s brother Harry (Todd Karns) toasts him under the Christmas tree as “the richest man in town,” the Bedford Falls crowd sings “Auld Lang Syne” and they find Zuzu’s petals. I don’t even want to. 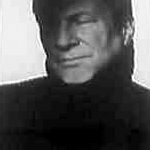 You can read more of Michael Wilmington’s reviews at Movie City News.